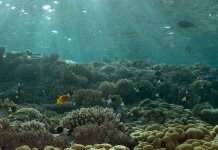 Having dived several liveaboards in the Red Sea during the last few years and never taken a camera underwater, the time felt right for a trip to extend my comfort zone and see the possibilities. I had always felt underwater photography something apart, the stunning images produced by great photographers unobtainable. 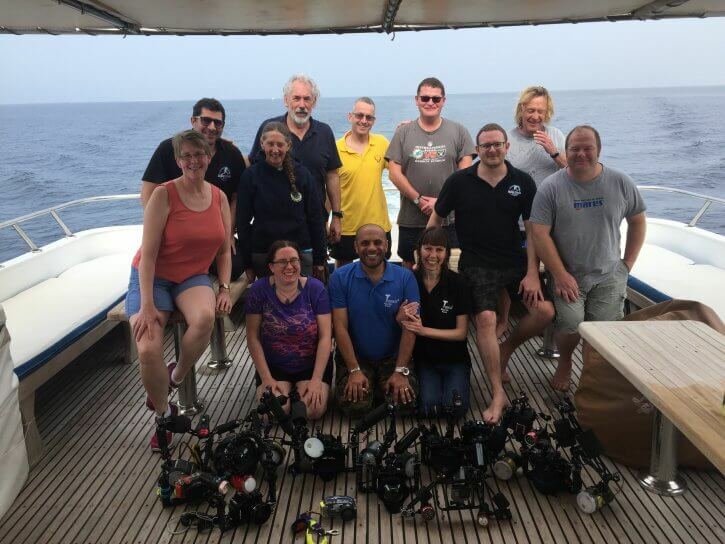 Yet a week on Cyclone with Mario Vitalini, one of Scuba Travel’s in house Photo Pros and a lovely group of photo passionate divers put all nerves to rest and created a spark to progress in this highly immersive experience! 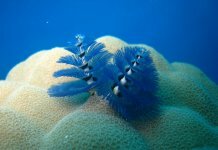 Mario, a certified PADI IDC Staff Instructor, has worked extensively in the Red Sea and worldwide, logging thousands of hours of training dives, guiding and seeking phenomenal photo opportunities. 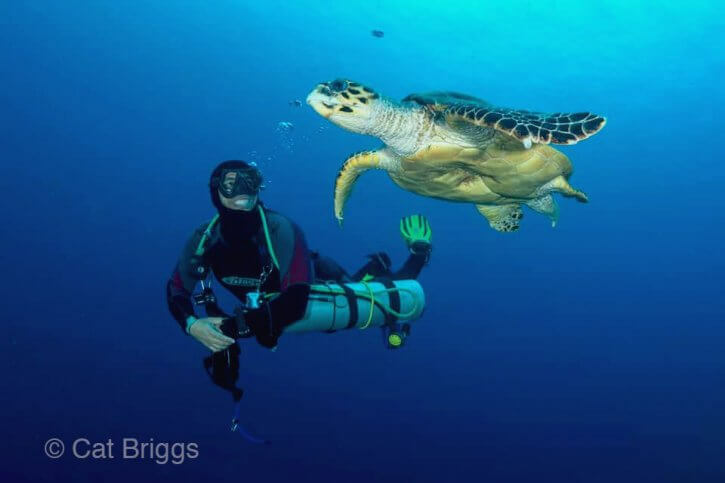 He has been diving with cameras for almost 20 years and his expertise includes kit selection and digital editing. For newcomers, his encouragement, warmth and calm approach put all feelings of intimidation to rest. Perfect for beginners to integrate and learn with more experienced photographers from the outset. Mario was available to speak on the phone before the trip and explained how it would run. I was reassured I could start on a fairly simple camera mounted on a tray, using simple exposure settings, ambient light and then strobes if wished. 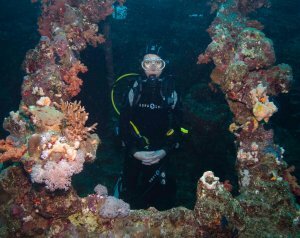 I knew my diving would change with this transition so being comfortable and really enjoying diving with great buoyancy skills a requisite. 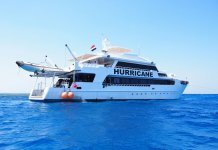 On boarding Cyclone at Hurghada, very comfortably appointed in the style of her sister boats Whirlwind and Hurricane, following the boat briefing by wonderful leading guide Reda, Mario briefed us on would be a very different type of trip. As opposed to the more structured itineraries of ‘Wrecks and Reefs’ or ‘Shark Quest’ further South, we would be diving under ‘Open Deck’ policy, so at certain sites given free reign to jump in whenever we wished (plus buddy…) taking responsibility for our own SI’s (and where writing your names on the dive deck board is never more crucial.) Reda and Mario were always available to dive with but the freedom was liberating, a new level of self responsibility with excellent communication skills required (as always) with your buddy team in and out of the water. It made for a very calm and relaxed deck with no one rushing to jump in with very expensive camera gear! Following setting up our gear and supper, everyone assembled their cameras and strobes and Mario took me through the settings and daily care for my camera. I looked forward to the check dive but was a little nervous. The others put me completely at ease and one eloquently put it ‘You are a diver who dives until you become a photographer that happens to be underwater.’ A perfect insight! Day 1 at the check at Shaab El Erg we sorted out buoyancy and any issues and enjoyed cooler January water with a long, pretty dive peppered with scorpionfish and blue spotted stingrays. I was conscious of my air consumption as it completely changes as soon as you hold a camera but reassured this is entirely normal as adapting! My initial shots were overexposed but corrected by a play with the exposure lock on deck. 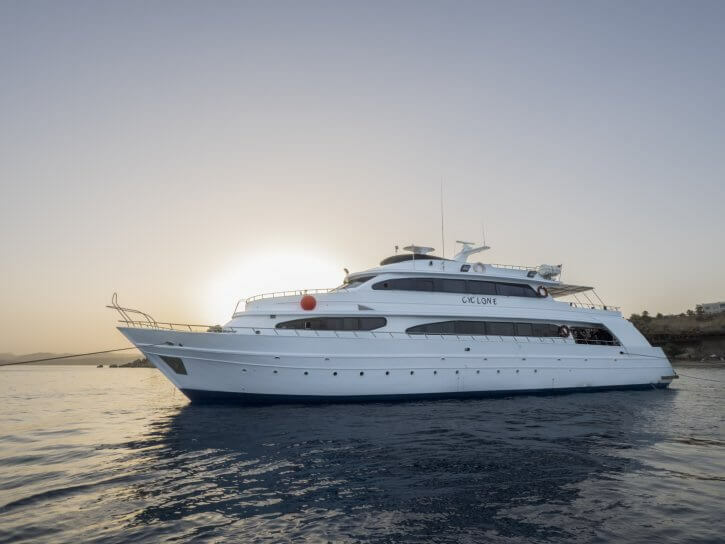 We then moved to The Barge at Bluff Point off Gubal Island, one of the most popular Red Sea sites and a mecca for photographers as teeming with wildlife including famous resident George the huge moray, who always poses with his customary aplomb. 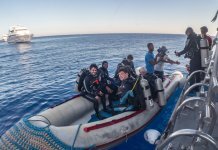 The Barge is a key site on this type of itinerary as offers countless opportunities to dive at different times of day and night varying setups and using ambient and strobe light. 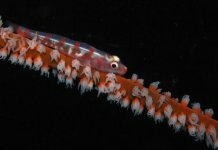 Lionfish, scorpionfish, nudibranchs, tiger cardinalfish, clownfish, octopus and the tiniest gobies living in an exquisite lagoon nearby were standout subjects, among so many. At Mario’s and Reda’s discretion, it was our home for two days. The first evening Mario gave two presentations, on Ambient Light and Framing and Composition, exploring the technical artistry of composing shots taking into consideration light absorption, using natural light and when to ignore the rule of thirds/diagonals and fill the frame. Most importantly ‘Tell the story’! Day 2 we woke to a current on the Barge but my buddy Yvonne and I finned through to the slack lagoon where we looked for gobies and blennies, hard to spot with the naked eye but often spotted through a macro lens. 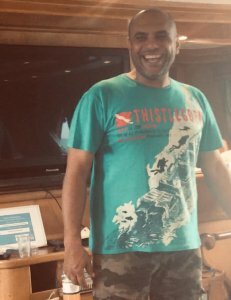 The second dive with Reda on the Ulysses wreck took us to a bigger scene and where he disappeared at the end to visit his new bespoke site – ‘BBC Crack’! Back on the Barge after tea, it was fascinating to watch other divers hover over a subject for 40 minutes to an hour, exploring the abundant opportunities with one creature. Remembering Mario’s note to get close to the subject, I hovered above George as close as safely possible and snapped away as he undulated out of his burrow, dramatically baring his moray teeth. Mario’s note ‘Static fish don’t tell a story’ applies to all creatures! That evening as everyone reviewed their work, a diver remarked ’An opportunity is an opportunity only if you can realise it. 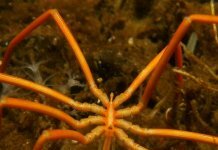 Otherwise, see it for what it is.’ A perfect encapsulation that wildlife and underwater photography is a blend of preparation, skill, eye yet also alchemy. Mario’s post supper talk on basic lighting covered an array of light set ups, how to minimise backscatter, use sunlight as a first source and how a strobe can be used to compensate for absorption, emulate natural light and create contrast/drama/texture. Using two maximising even more creativity. He explained ‘inward lighting’ (which separates the subject from their surroundings by directing the strobes away subject for the most compelling result.) All these techniques so clearly explained with powerpoint visuals give a beginner photographer no task loading but a platform from which to experiment. Day 3 morning was ‘Open Deck’ at The Barge again so everyone could benefit from the tips in the presentations and play. Then after lunch, we were off across the shipping lane of the Gulf of Suez to Ras Mohammed Marine Park. 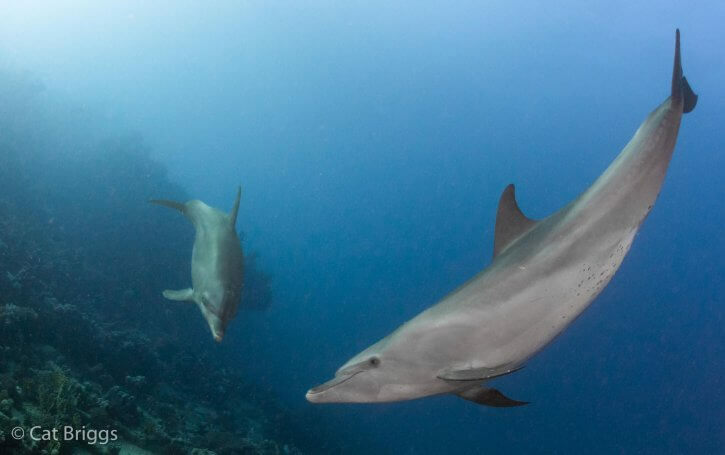 Bottlenose dolphins leapt playfully alongside accompanying us to Shark and Yolanda dive site. 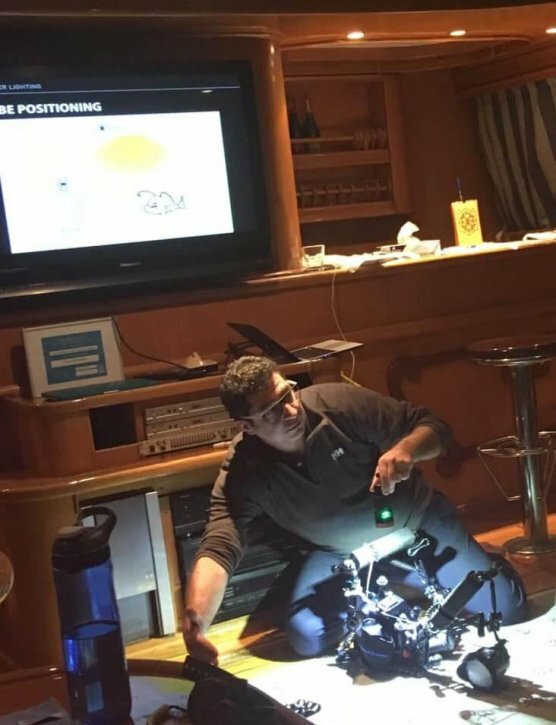 After an initial dive here and a night dive on a pinnacle, Temple Reef, Mario gave a fascinating presentation on what could be achieved with Lightroom, which offers great enhancement without ever losing the original image. Fascinating to see how even slight adjustments could transform a shot, without corrupting its original integrity or making it artificial. 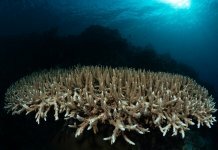 The morning of day 4 we enjoyed a spectacular drift dive, dropping in on gorgeous photographic opportunities at Anemone City before flying underwater to the bathroom remains of the Yolanda wreck. 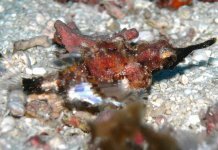 Blue spotted rays dotted the sandy bed and turtles, jacks and a huge barracuda kept us company. Some spectacular shots were achieved, no less one of Reda beaming up at a turtle! Then it was on to SS Thistlegorm at Sha’ab Ali, an armed English freighter who sank en route to deliver supplies to the British Army at Alexandria, after being bombed by a pair of Heinkel He 111 bombers. Arguably the most famous wreck for divers in the world, she is a war grave for nine men lost and I was so pleased to visit her again and pay respects. Both Reda and Mario briefed (Reda via his Thistlegorm T shirt as his powerpoint briefly failed!) and Mario on how to use ambient light and wide angle on this most poignantly dramatic ship, whose bow we initially moored over from our stern. 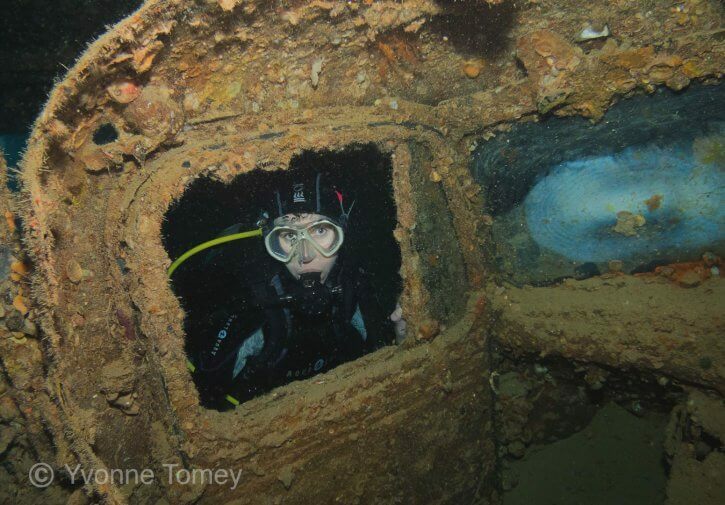 With clear water flowing we enjoyed the first dive in slight current and glassy water, dropping in on her bow, round her port side then across the blast area where she was ripped apart and back up along her starboard side. I enjoyed some wonderful moments hovering at her bow teeming with bright orange anthias. 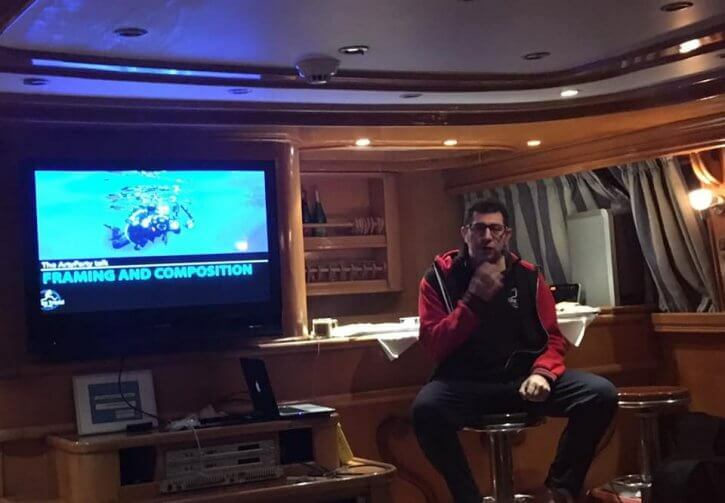 Mario’s briefing encompassed the vast range of photographic opportunities on Thistlegorm including dives into the deep holds containing Bedford trucks, Lee Enfield rifles, Norton 16H and BSA motorcycles and even stacked airplane wings. He gave great notes on raising the strobes to the ‘rabbit ears’ position and pointing them slightly downward to get the best effects in these darker areas. Following lunch and a talk by Reda of her history, strong current necessitated a surface line swim to Cyclone’s bow and hanging tightly on as Reda led a group of us down to the calm of her holds to see this cargo. A dive both spectacular and intensely moving. That evening Mario gave another presentation, this time for everyone to review their shots and see how enhancements could be made in Lightroom. Fascinating and about ‘pinpointing the mistakes on the shot’ so framing, colour temperature and white balance could be adjusted. Some really great work so far and you could see how pleased everyone was with their efforts. Day 5 continued to be Open Deck on Thistlegorm and Reda, Yvonne and I spent a long time exploring the deep holds gently finning through nooks and crannies. The atmosphere was evocative and blessed with the ship to ourselves, there was a moment I will never forget finding myself briefly alone in a huge underwater room, steeped in light, story and history, Quite unreal and transcendental. Our final dive there afforded Yvonne and I a shoot using myself as a model in relation to some of the cargo. As Reda directed her into the right place with her camera and strobe I recalled Mario saying how much these efforts mean you ‘can go home and say “I took that shot” .’ He encourages every diver how to use a sense of scale, contrast and background in wreck photography, using marine life and models to enrich the image. Finally, time to say goodbye to Thistlegorm, we headed to Abu Nuhas reef to dive the Kimon M, one of the four wrecks accessible to recreational divers but often dived the least due to strong current. A new wreck for most of us! She sank laden with lentils after crashing into the reef (her crew saved.) We all headed down the zodiac shot line and swam up through her structure, keeping an eye on deco as easy to stay quite deep on the third dive of the day. 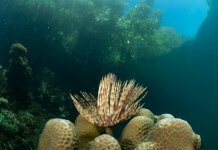 Want to learn to improve your underwater photography lighting? 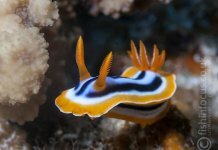 Join Mario on his Red Sea Photography trip next June for the opportunity to practice this and many other techniques and enjoy some of the best diving the Northern Red Sea has to offer.